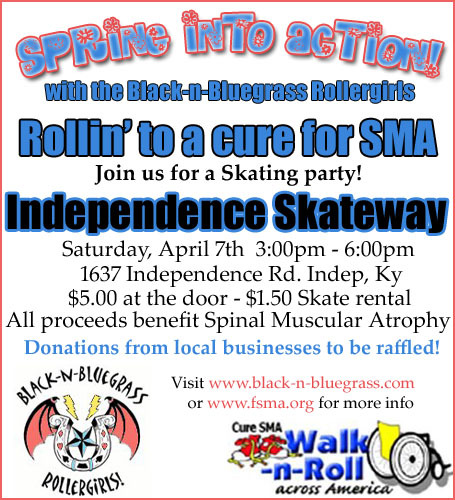 Tune into ICN6 (Northern Kentucky cable channel 6) on Tuesday, April 3rd to see The Black-n-Bluegrass Rollergirls on air. 10:50am. For more information on SMA and what you can do to help, please visit the official FSMA website.